The tuberose is one of the most beautiful flowers that our GOD has placed upon His creation. 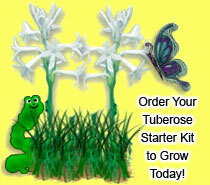 What a blessing it will be for you and your family to witness the tuberoses growing. I tell my customers that the tuberose is e-z to grow. A very hardy plant. And that it is “tuff as nails” and to just wait patiently after planting on the Lord (see Psalm 27:14 KJV). Thank you and enjoy!! 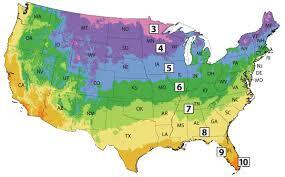 Once winter is over and early spring begins in your area/hardiness zone (mid-May for us). The tuberose bulbs should be planted in rich sandy soil. Full sun. And a well-drained location. Space bulbs 6 to 8 inches apart and cover with an inch or two of soil. ***DO NOT PLANT BULBS VERY DEEP IN THE GROUND*** Give your bulbs/plants water every 7 to 10 days. Mature bulbs (7-9cm and larger in size) will bloom in about 3 to 4 months (July- Sept.) While smaller bulbs will bloom for you the second growing season. Please order your bulbs from us during the months of August thru October and once the weather cools down you should plant as follows: refer to spring planting guide above and get the bulbs in the ground in your area/zone before the very cold frosts/freezes begin. 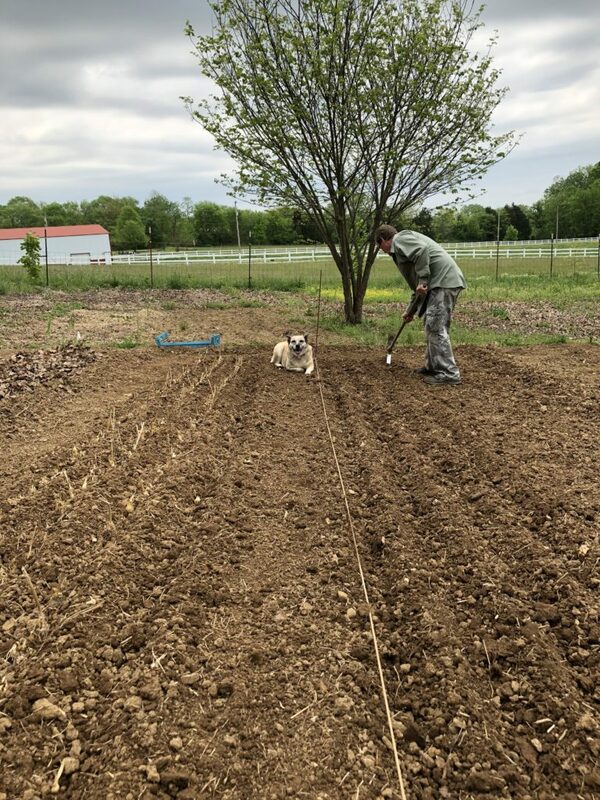 Once the bulbs are planted the most important step is to cover the area planted with at least 6 to 8″ of mulch, straw, or leaves for the winter. We will take orders all year long and will take the necessary steps to make sure that the bulbs will get to you safely. We do suggest that you dig your bulbs up every 3 to 4 years. And split your bulbs apart and plant back the largest bulbs so that you will continue to have the most beautiful flower stems and blooms in your gardens to enjoy and share with your family and friends. In zones 7-10 cover over your bulbs with 6″ or more of mulch, straw, leaves, etc. 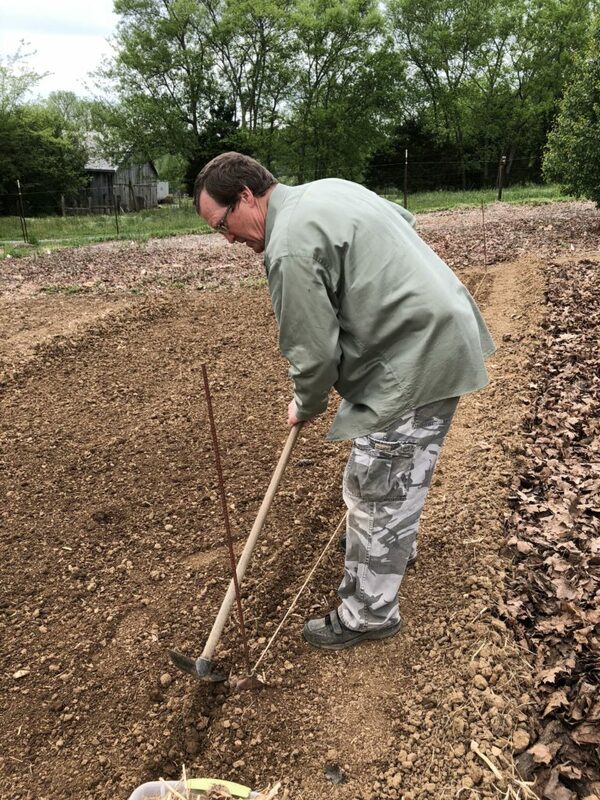 In zones 6-3 (cold and harsh winters) please dig up your bulbs and follow the information provided in the bulb digging guide. 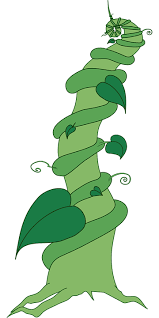 We will be glad to talk to you about any of the above mentioned guides on raising and caring of these beautiful flowers throughout the years to come. We appreciate and will process your orders at anytime of the year. We thank GOD daily for all of you who have/and or will have an interest in this heavenly flower that He has blessed our family with here and want to share this with you and your families. The tuberose is a tuberous-rooted herbaceous perennial. 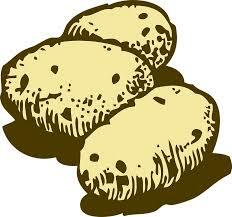 Which was domesticated by the pre-Columbian Indians of Mexico (Aztecs). 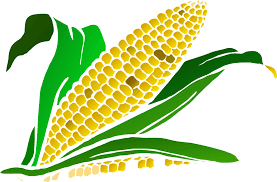 And like corn. The tuberose origin is lost in antiquity. Because the Aztecs called it Omixochit (oh me” zu che’tl) or bone flower. A tuberose is a plant growing 3 to 4 feet tall with bright-green foliage. They may have a pinkish tint sometimes especially if it is the “Pearl” double tuberose plant family. Tuberoses are most familiar as a fresh cut flower from your local florists and is very popular as a wedding flower. Tuberose (Latin tuberosa) is named for the shape of its rootstock and belongs to the Agave plant family Agavaceae. Extracts of this most fragrant flower are used as a top note in perfumery. Tuberoses are also used in Hawaii for leis and was considered a funeral flower in Victorian times. Its scent is described as complex, exotic, sweet and floral. The Tuberose is grown in regions all around the world and has many different names and after you grow these for yourself and experience “the one and only tuberose fragrance” you will understand why this flower is known as one of the most fragrant flowers grown in the world! From my own experience and 1000’s of hours laboring with this beautiful flower I pray that GOD will allow me another season to share His word and our faith to others not only thru the tuberoses but our daily walk with Him. Amen.